Dressed to kill the Year 6 pupils made sure that they looked good for their big send off. In the last week of term, the BFG organised a Leavers' Disco for the pupils and they certainly made the most of it. Through the smog of Brut and Old Spice, the DJ managed to keep a close eye on his decks and ensure the tunes were pumping. Coolly strutting their stuff on the dance floor, the boys were very keen to impress the girls... even if they were out of time! In the interval there was an extensive buffet laid on. All that dancing is hard work. Finally the children returned to the hall for some party games. Seemingly the boys just had the edge in the 'Pass the Balloon' contest. However the girls take the prize for being the most glamorous. Good luck in Year 7, we will miss you all! 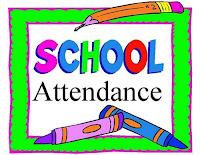 This is an improvement on last year’s attendance – which finished at 93.15%. However it is disappointing not to have made it past the 95% threshold when we were on course to beat it earlier in the year. I know that from September there will be a renewed focus on achieving our school target as if we’re not here, we can’t learn as effectively! Miss Moran led her troops to Kidspace in Romford as a reward for their fantastic attendance this year. In fact they were the run away winners! Over the course of the year they have performed very consistently and have been unlucky not to win previously. Well done Rowan! As a reward for their tremendous total the children of 95.1% the children of Willow Class were given a class set of cookies to eat from our chef Mandy and a box of chocolates to share. Mmmmmmmmm, turning up every day is indeed delicious! In the penultimate week of term, the Year 3&4 classes visited the Science Museum. Once they arrived, the children had an action packed day. First they had a workshop which taught them about how sound travels. Can you play a violin? Have you ever watched an orchestra at work and thought I could do that? Well our pupils got to try it out first hand! It might not have sounded like Mozart, but they did learn a lot about sound waves, frequencies and vibration - music and Science all blending together. Waiting for them in the launchpad area were a vast array of practical activities which covered a wide range of Scientific topics. Look below to see Ruby and her friends balancing on the bridge that is formed using loose, curved pieces of foam... but is surprisingly strong! Shannan investigated the viscosity of different liquids, while Beth watched as sound waves bounced off water! Without a doubt it was a fun, but very educational day out. Work is well and truly under way on the new Nursery building and EYFS area. In only 3 weeks the builders (HBS) have managed to get out of the ground and start laying the block work. If we are lucky with the weather then we should still be on target for a November finished. Once the Nursery is complete, work will then start on landscaping the Nursery & Reception garden. Without a doubt it will be an outdoor area to rival any on the Hill! Look out for further updates on progress, as the building is sure to shoot up now! It is hard to believe that we are already at the end of the year and that this is the last newsletter I shall write this term. 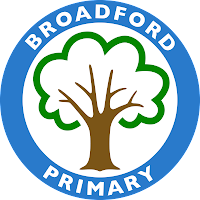 I would like to take this opportunity to thank you for helping to make my first year as Headteacher of Broadford such an enjoyable and rewarding one. Your children are an absolute delight to work with every day and I shall miss their company over the next six weeks. Enthusiastic, hardworking, conscientious, polite, appreciative, kind and welcoming: these are the words that come to mind most frequently when I think of how I would describe the pupils here. I swell with pride when I talk to other parents, professionals, colleagues and children about the pupils we have at this school. They have achieved fantastic things this year and the next twelve months will be even better! As a community of parents, friends and relatives you have been incredibly supportive of the school through what has been a long period of transition. For that I thank you and know with confidence that this support will continue to be a pillar of strength for our school as we improve it further over the years ahead. You have attended the parent meetings, volunteered to help with trips and reading and been very forthcoming with your views on how to make our school better. Please keep this up! I have been delighted to see the desire you show for this to be a good school. As a parent of two girls I know that you both deserve and rightly expect the best for your children… nothing less. I believe we have made great strides to achieving this over the last eleven months and it will continue to be our focus in the next school year. In a short space of time we have seen our school emerge from special measures and go on to score some of the best exam results in the school's recent history. Our Year 6 leavers managed to achieve 95% at the right level for Reading, with 50% reaching Level 5! In Maths, we improved from 55% at Level 4 to 82% this year - an uplift of 27%... fantastic. We also managed to have 39% of the pupils achieving the Level 5 in Maths. All year we have shown that the pupils here can hold their own against any in the Local Authority. We had one pupil score 99/100 in his maths and many more score 90+ marks. Our quiz team got through to the semi finals and our spellers achieved well in the Spelling Bee. It goes to prove that academic success is very much within the grasp of all of our pupils. Now we just have to do even better next year. However it is not just the academics we have developed this year. Theatre workshops, choir performances, sports clubs, coffee mornings, art competitions and many more opportunities have been provided to ensure that the widest possible range of talents are recognised. Every visitor to the school this year has commented on the friendly, caring ethos that pervades the corridors. Everyone is greeted with a smile and a cheery hello from the moment they walk through the front door. 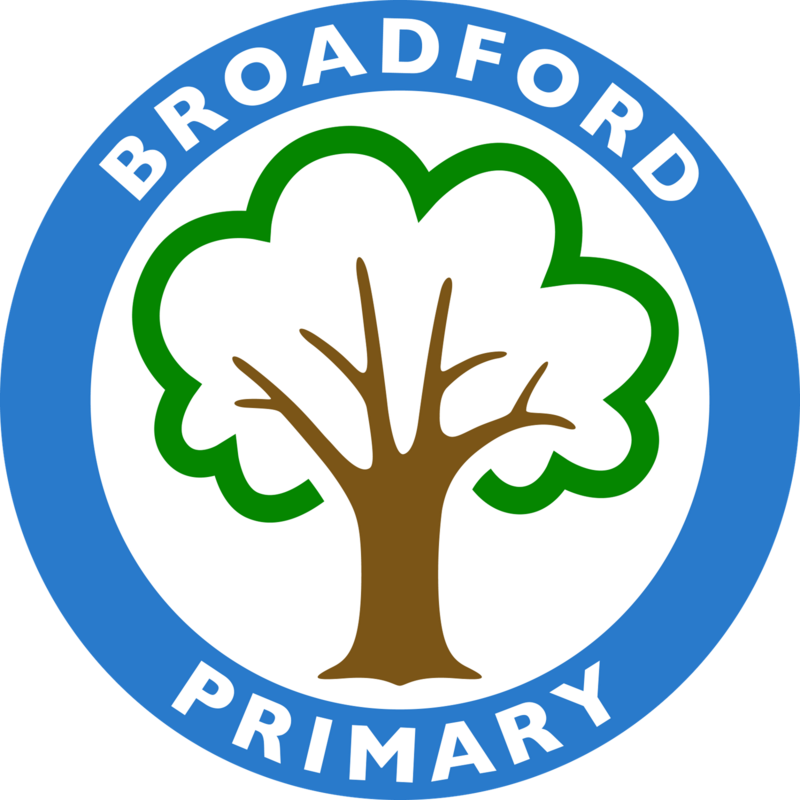 It ensures that Broadford is a school where you feel happy and safe coming to work each day, be you a pupil or a member of staff. When we come back in September the focus will continue to be on ensuring that your children benefit from good teaching throughout the school. To support this the school is investing heavily in resources both indoor and outdoor. New canopies have been ordered for the Year 1 class rooms so that they will be able to make better use of the outside and provide a smoother transition for the pupils as they move up from Reception. Tree seats have been purchased - we expect installation of the first two next week. Of course the new Nursery classroom is emerging from the footings dug over the last three weeks and we will soon be landscaping the new EYFS garden. In addition we have a range of quality training opportunities already booked for the staff in the Autumn term - from which your children will directly benefit. Joining us in September we have our new EYFS leader Mrs Stanley and two new teachers Miss Fox and Miss Morris. We have every confidence that the training, new staff and improved resources will ensure that your children get an even better deal. So, thank you for this year, enjoy the break and I look forward to carrying on where we have left off once we get back in September! Blue managed to win the last half term trophy of the year and scooped a prize of cakes and drinks. Not only did they win the half term prize, they won the overall competition and will have their name etched onto the house trophy! How much of an idea have you got of what it takes to get the Olympics off the ground? Have you thought about how you transport a BMX starting gate? Do you know how many hangers it will take to equip the wardrobes in the athletes village. Watch this short BBC clip to get a better grasp of the huge logistical task that the organisers face in order to be ready for the 27th July. Festival singers make the paper! At the recent Harold Hill Festival, our choir performed the opening act on the main stage. Singing four songs the children wowed the audience with their powerful and melodic voices. If you didn't get a chance to see them live, check out our YouTube channel and watch the video footage. This week the children featured in a Romford Recorder article about the event which attracted more than 2,000 people from the local area. A dedicated team of over 30 volunteers - led by our very own Mr Borrell - helped to raise almost £2,000. Well everyone... a great event that even the weather couldn't dampen. Attendance Prize Winners: The following children got an Argos voucher for 100% attendance this half term! At Broadford we have simple expectations for the children. If you are here every day, then it makes it much more likely that you will make the progress you are capable of. 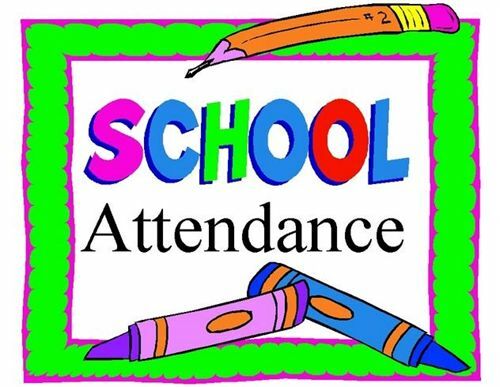 The school as a whole has improved the attendance this year and raised it to over 94%... but we could all learn a lesson from these pupils who managed 100% for the latest half term! On Tuesday night (17th July) we had to attend Drapers Academy to collect an award for ‘Outstanding Achievement In Sport’. Presented by Tony Cottee, the trophy was to recognize the fantastic efforts of the children in all the competitions they have entered this year: netball, hockey, football and rugby! We are already looking forward to next year and furthering our relationship with the academy – who by then will be enjoying their new facilities. Tony then gave a speech to the audience that focused on always having a strong sense of self belief... even when the odds seem stacked against you. 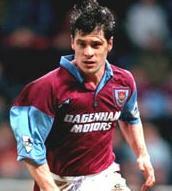 For someone so small, making a career as a professional footballer was always going to be a challenge. However Tony spoke about how he used the dismissive attitude of his doubters to inspire him to try even harder. Jamie Groom Bowls a PB! Year 5&6 In The Eye! William Swims Like A Fish! Harold Hill Festival - Broadford On Stage!